1. Do I really need a website & a web based application for my organisation? If you’re a business looking to increase your sales, market your image, and compete with other businesses like yours, then absolutely, undoubtedly, without question – you need a web design and development company to build your own website or a web based application. Not too long ago the word “Google” wasn’t even in our dictionary. we had never heard of a search engine. Now, Google is a household word. Research continues to show that web search engines have replaced phone books as “the” way to quickly find businesses, people, and information. If a potential customer “googled” your type of business right now, would they find you? 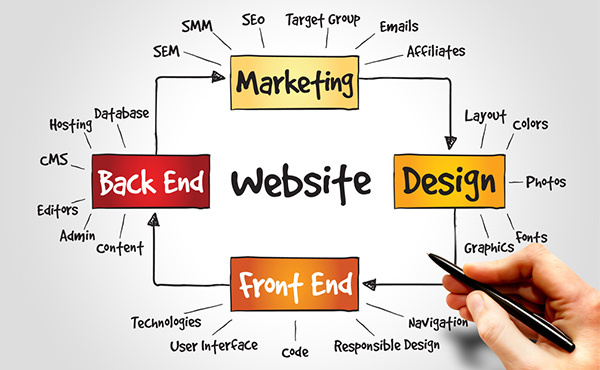 Having a well-optimized and well-designed website can help make sure that they do. The results are two-fold: Now you’re more fit to compete with other businesses like yours and you’ve just increased your chances to gain new clients and new business drastically. So yes, it’s THAT important and I’m confident that I have the right skills and experience to help you gain that edge over your competition, hands down. 3. Okay, I have a website. Now what? Unfortunately nowadays, just having a website isn’t enough. You need staying power. Having a suave, eye-catching website is essential in keeping potential clients away from your competitors’ websites and drawn to yours. You are now competing with literally thousands of businesses just like yours – all fishing from the same pond, and it’s almost always the one with the right strategy and the right lure that makes the catch. If you’re fortunate enough to be in the top 10 search results, you cannot get by with “average”. Your website needs to be fresh, creative, useful, and easy to use – with your content told in a compelling way. Also, if you’re looking to attract considerable business, your website has to be carefully optimized and structured to gain that extra growth. Choosing a web designer who understands and has the right strategy for the job is your key to building an effect presence online. We should talk more. 4. How is a website different from other marketing? Although various media advertising can be effective, a website is your least limiting option for business. Why? If you paid for a TV ad, you can’t be sure it will ever reach your market. A lot of people mute the volume, change channels, leave the room, and socialize during commercials. Some aren’t even home watching TV. Same idea with radio ads. Many drivers listen to CD’S or MP3 players nowadays, or if they do tune to the radio with commercials, they change to another station. Even with print advertising like newspapers and magazines, those are only read by a select number of people. So really no matter what method you choose, it’s going to limit you and limit your business opportunities. Plus, you’ll be spending quite a bit of money. You have to decide where your best investment is going to be. Fortunately, websites don’t go anywhere and can be browsed 24/7 by viewers across the country and overseas. With the right amount of effort and strategic planning, you can have a website completely optimized and promoted to take advantage of your business’ 100% potential. And, the cost to build a quality website like that is much less than other means of media advertising. Of course, that doesn’t mean that you can’t pair a great website with a TV or newspaper ad. But if you’re looking to grow your business in the most effective way possible, your first priority should be a website. 5. What is your role in my project? I would say translator. You seek out a designer to use their creative skills and turn your ideas into a real product. I always equate it with the relationship between a composer and a performer, and a performer to an audience. The composer wants to convey something profound to the audience, but the only way that’s going to happen is if the performer is able to translate well the ideas of the composer and make them into something artistic and captivating. My goal is to listen closely to your ideas; get a feel for how you would like your business represented; and then use creativity to make those ideas happen. You need a web designer that doesn’t use “out of the can” solutions for your business. You have something great to offer – you deserve a custom look to your website that reflects that. 6. So, How do I find a reliable and cost effective web designer? This is a good question. Here’s how confidently you can say chosen web designer is better to mange your project than other web designers out on the market. not only design, web developer should have really good SEO knowledge. Should have the skills, knowledge, and experience to give 100% what client need and have it done right the first time. Honesty & should have affordable fee structure & reasonable terms. Easy to approach when need a clarification and quick response time. Web developer should obsess over the details. Unlike the “get in/get out” mindset, it should done as efficiently and as solidly as possible & should meets global standards of performance. What are the benefits of hiring a personal, trusted web designer to develop your website? Immediate responses to emails made during their session (within reason of course!). Bottom line: should care about the client and I care about the project. Gone are the days of “cookie-cutter” looking websites – well, at least for me it is. They always say, “A picture is worth a thousand words.” Don’t rob yourself of a great identity with the style website everyone else has. Your designer should know how to create a look for your website and/or business that reflects who you are, and keeps all the focus and interest on you. So, you want to grow your business? Turning toward the internet is a great idea. With more people using the internet as a tool for finding businesses and information, you are sure to pick up a great deal of attention – that is, if your website is designed the right way. Well, guess what – You don’t need a marketing or ad company to give you that kind of quality website. The sad truth is that many web designers and marketing companies fall short of optimizing your website to its full potential. What does this mean for you? The better your website is optimized, the easier it is to find you in the search engines. That’s where you’re getting most of your online business. So, the bottom line is that you need someone who is experienced enough and has the right strategy to make the most of your online investment. If you picked up a case of Tide detergent tomorrow, would it get your clothes clean and stain-free? Sure. But what about the more affordable option out there that can equally brighten your whites? Same size; same ingredients; same “easy-to-hold” bottle – no difference, and it didn’t push you out of your budget. In the same way, you can pay a design group a large amount of money for a website or branding project, or you can hire someone with the same abilities; same resources; same experience; and way more attention to detail for a just a little less. Bottom line: experienced and quality web application developers are not cheap, but surely you should be able to find an affordable partner who is confident that their abilities can outperform any other option out there.